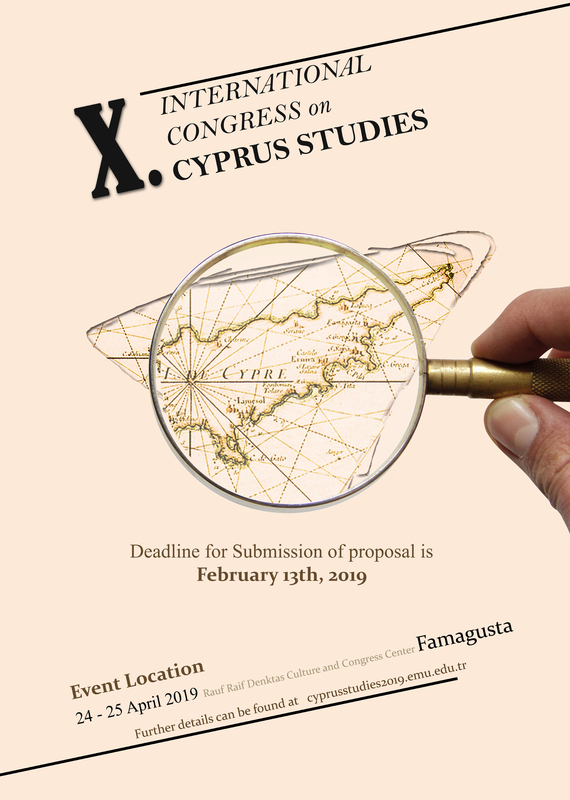 The Administrative Board of Cyprus Studies at the Eastern Mediterranean University is pleased to announce the 10th International Congress on Cyprus Studies – with the broad perspective of issues focusing on Cyprus will be held in Rauf Raif Denktaş Culture and Congress Center in Famagusta on 24-25 April 2019. The aim of the congress is to provide a discussion platform for issues – history, literature, education, political, economic, social, and others – that focus on Cyprus. Deadline for submission of proposals is February 13th, 2019.